Certified. 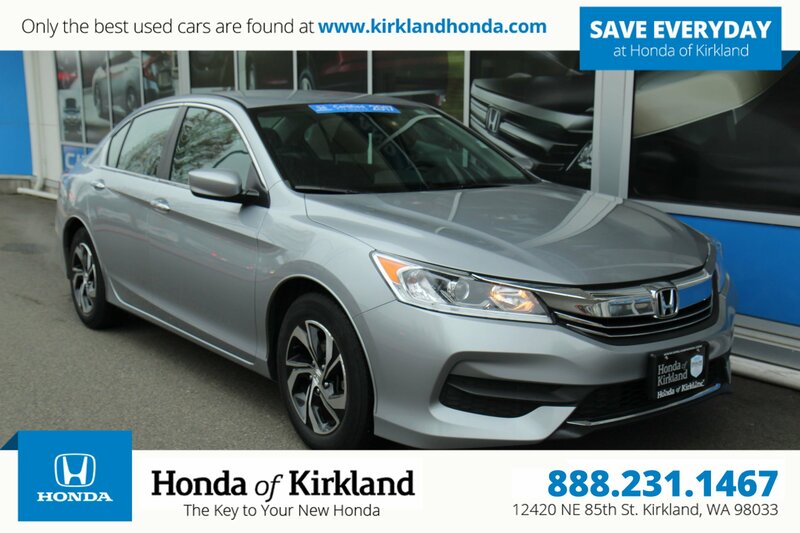 Lunar Silver Metallic 2017 Honda Accord LX FWD CVT 2.4L I4 DOHC i-VTEC 16V ++Honda CERTIFIED++, *UNDER FACTORY WARRANTY*(remainder of manufacturer warranty), 1-OWNER, =Accident Free VEHICLE HISTORY=, Local Car, ~~NON SMOKER~~, Bluetooth, Hands-Free, Accord LX, 4D Sedan, ABS brakes, Alloy wheels, Automatic temperature control, Electronic Stability Control, Exterior Parking Camera Rear, Fully automatic headlights, Radio: 160-Watt AM/FM Audio System, Steering wheel mounted audio controls, Telescoping steering wheel, Tilt steering wheel, Trip computer.27/36 City/Highway MPGCertification Program Details: Buying a Honda Certified Pre-Owned Vehicle is a smart choice. 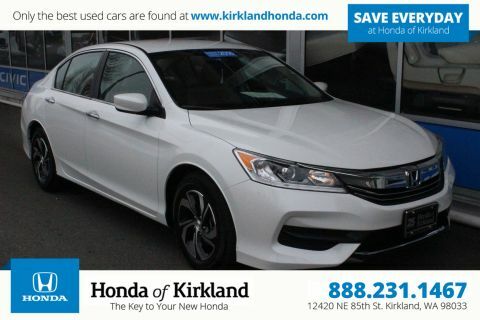 Only well-maintained Honda vehicles that are under six years old and have fewer than 80,000 miles are eligible for certification. 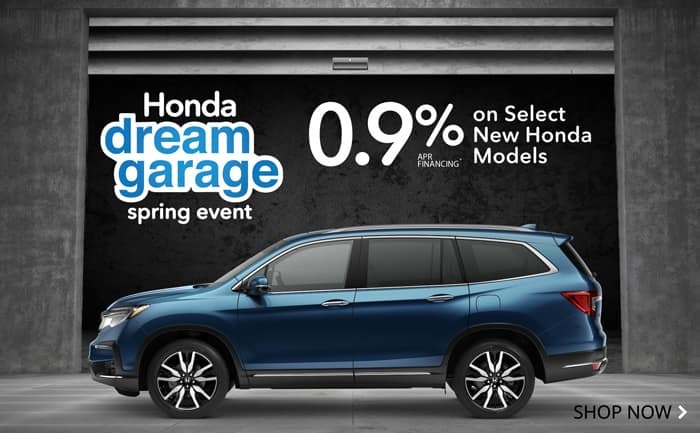 The program includes many other benefits that a private seller just can't match, like a thorough 182-point inspection conducted by a team of Honda-trained technicians. 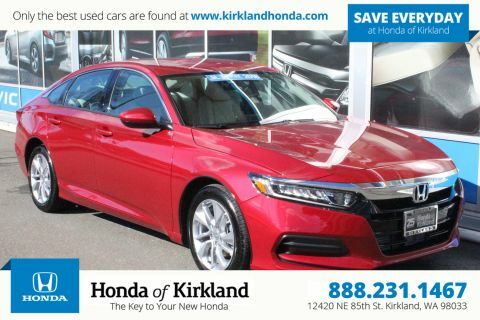 Honda Certified Pre-Owned means you not only get the reassurance of a 182 point inspection, but also 12mo/12,000 miles limited warranty, 7yr/100,000 miles powertrain warranty, 24/7 roadside assistance, trip-interruption services, rental car benefits, and a complete vehicle history report. 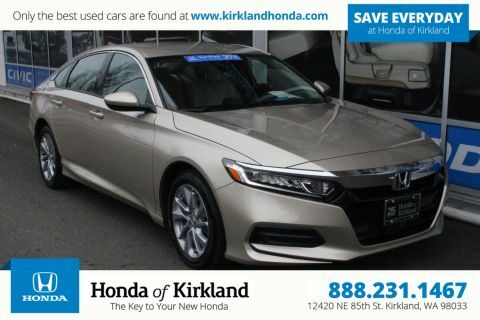 Awards:* ALG Residual Value Awards * 2017 IIHS Top Safety Pick+ (When equipped with Honda Sensing and specific headlights) * 2017 KBB.com Brand Image Awards * 2017 KBB.com 10 Most Awarded Brands2016 Kelley Blue Book Brand Image Awards are based on the Brand Watch(tm) study from Kelley Blue Book Market Intelligence. Award calculated among non-luxury shoppers. For more information, visit www.kbb.com. Kelley Blue Book is a registered trademark of Kelley Blue Book Co., Inc.
Based on 2017 EPA mileage ratings. Use for comparison purposes only. Your mileage depending on driving conditions, how you drive and maintain your vehicle, battery-pack age/condition, and other factors.